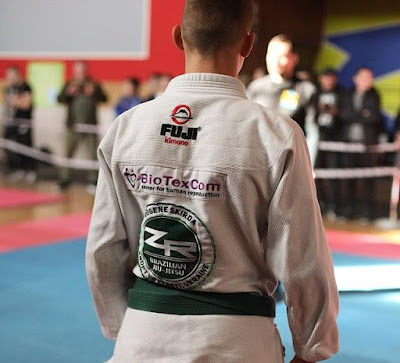 Ukrainian fighter from the SC “Borets” / ZR Team Serhii Krasovskyi won the silver medal during the “Kaunas Open Jiu-Jitsu Championship 2017” which was held under the aegis of the Lithuanian Association of Brazilian Jiu-Jitsu on 2 December in Lithuanian. The coach of the club, Ievgen Skyrda, noted that in this case the second place is more valuable than absolute victory and gold medal. According to the coach, this experience will make the fighter even stronger.